For pulmonary, critical care and sleep scientists and clinicians throughout the world, the Society’s three journals are the face of the ATS. As most members know, the flagship journal, the American Journal of Respiratory and Critical Care Medicine (better known to some as the AJRCCM or the “Blue Journal”), is widely regarded for the quality of its science and has the highest impact factor among respiratory and critical care journals worldwide. The American Journal of Respiratory Cell and Molecular Biology, known to many as the AJRCMB or the “Red Journal,” publishes more basic cellular and molecular studies than the Blue and is also known for the quality of its science. The Proceedings of the American Thoracic Society (also known as PATS or the “White Journal”) is the newest ATS journal begun nine years to serve as a conduit for ATS statements, scientific symposia and selected review articles. Under the able stewardship of Editor Alan Leff, MD, also a former editor of the Blue Journal, PATS established itself as a publisher of high-quality scientific materials. In the 2008 journal task force survey of ATS membership, 75 percent of respondents considered PATS to be moderately to highly valuable, compared to 94.4 percent for the Blue Journal. However, changes in pharma guidelines have made obtaining sponsorship for scientific symposia much more challenging. In addition, one of the most common suggestions that the ATS Executive Committee hears from ATS members is that the Society’s journals should publish more clinically relevant articles. With these concerns in mind and in light of the fact that Dr. Leff is completing his term as PATSeditor in March 2012, the Publications Policy Committee (PPC) convened a subcommittee under the direction of Patricia Kritek, MD, that recommended changing PATS into an online, clinician-oriented journal that would publish original articles and other clinically relevant features but retain special issues. The subcommittee chose this model to build on what PATS does best, retaining special issues that contribute to the Society’s financial viability, as well as serving our clinician members. Unquestionably, AJRCCM Editor Jacob Iasha Sznajder, MD, has done a masterful job of addressing the concern that the Blue Journal should publish more clinically relevant articles while maintaining its scientific excellence. 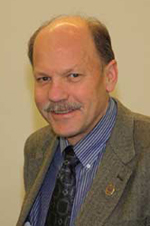 Dr. Hansen-Flaschen sees PATS fulfilling a complementary niche role as a journal that “publishes the highest quality research, commentary, reviews, educational materials and statements of direct interest to practicing clinicians in pulmonary, critical care and sleep medicine.” The original research will have high clinical relevance, including clinical effectiveness and outcomes research, therapeutic trials, health services delivery and quality and safety studies, high-quality surveys and meta-analyses. PATS will also publish relevant ATS news items, provocative commentaries and perspectives and special features of high interest and/or educational value to readers. Dr. Hansen-Flaschen plans to work closely with Dr. Sznajder to coordinate editorial policies and ensure that the two journals publish articles according to their respective missions, avoiding excessive overlap. This is a very exciting time for the ATS journals, as Dr. Hansen-Flaschen assumes his new role in April 2012. We anticipate that the Blue and Red Journals will continue publishing outstanding scientific articles and the Blue will continue to have articles and features of interest to both scientists and clinicians. PATS will expand to meet a desire for more clinically relevant scientific and educational materials, building on what Dr. Leff created and complementing what the Blue Journal has done very well for many years. But PATS will also occupy new territory, representing more the growing fields of translational medicine, including outcomes research, comparative effectiveness, meta-analyses and other areas of applied clinical investigation. We are very fortunate to have attracted an Editor of Dr. Hansen-Flaschen’s experience and stature to move PATS in this new direction. We hope that within the next few years, PATS will assume a role for clinical research that parallels what the Blue Journal has accomplished for outstanding translational and clinical scientific investigation and for what the Red Journal has done for basic cellular and molecular biology.